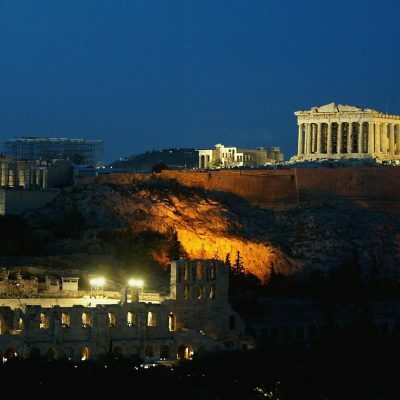 Ride to Delphi (with the option of Hosios Lukas Unesco monastery) and Meteora from Athens with a private driver and get an up-close look at Ancient Greece on this 2-day totally private tour of two Unesco sites with more local flavor. 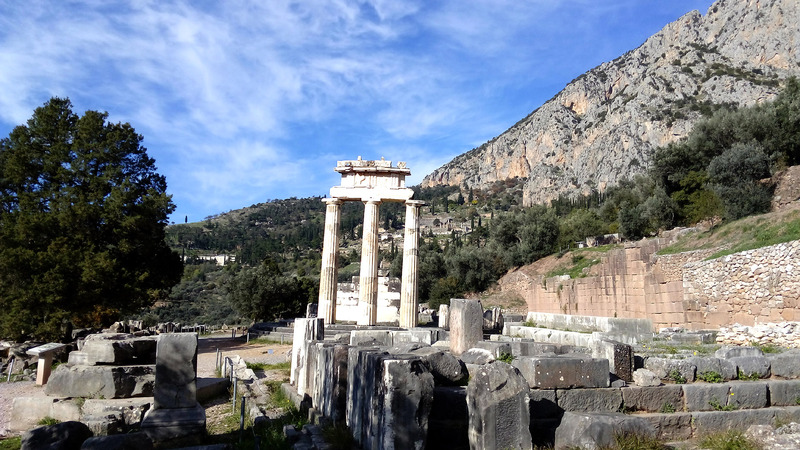 After drop-off at Delphi, stroll around the area on a self-guided tour, seeing attractions like Arachova village, the Temple of Apollo and Athina Pronaia. 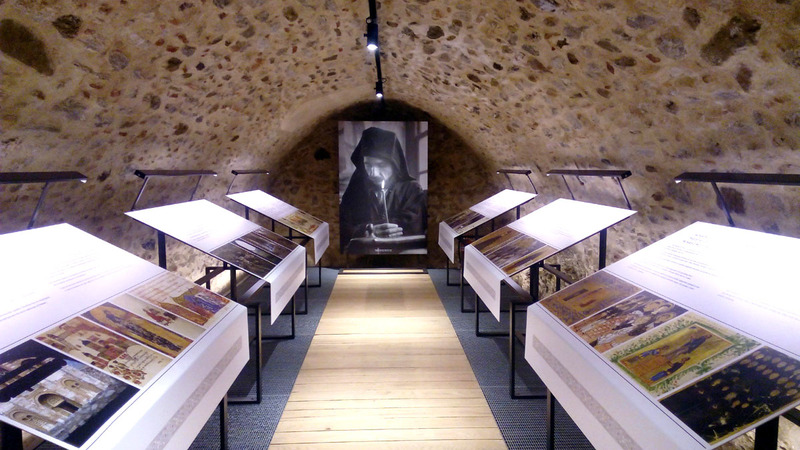 Optional visit of Hosios Loukas monastery. Enjoy a great lunch -treat of your driver- at a location where Greeks eat out. Arrive near Meteora and spend your evening (dinner) in the off the beaten path, bustling Trikala town, and not “touristy” Kalambaka town. Next morning, a very short drive to arrive at the famous monasteries of Meteora, which was a very safe hiding spot for the monks from the Romans. 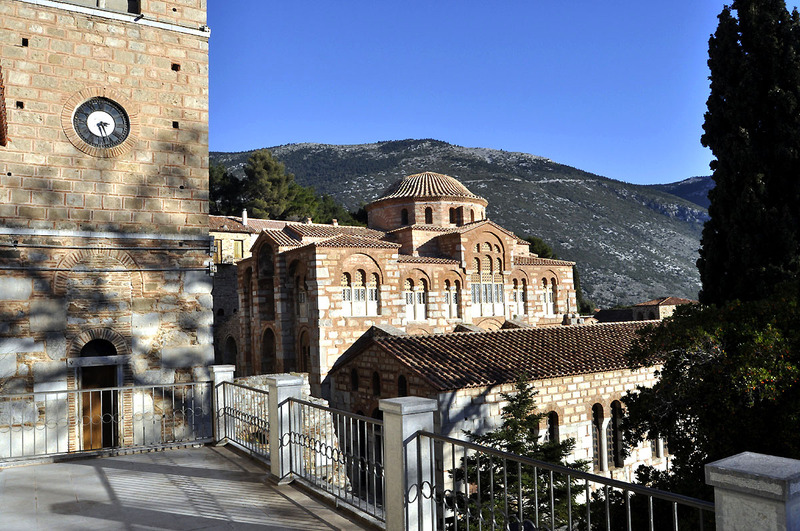 Visit two amazing monasteries before heading back to Athens with a couple of relaxing stops and lunch/drinks. Not much to see at Thermopylae! A PRIVATE experience worth every penny. Please read until the end! Why this tour? It is really private and totally authentic. A great personalized experience just for you! 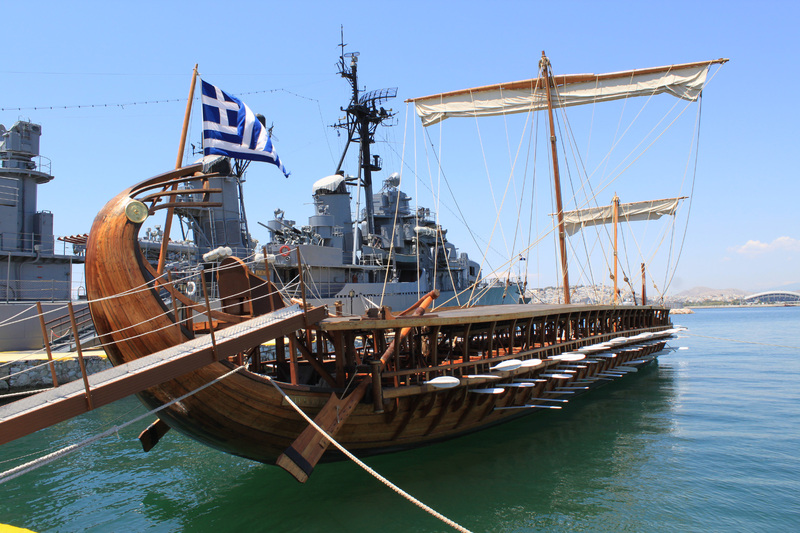 Two legendary UNESCO sites from Ancient Greece are included on this 2-day tour. 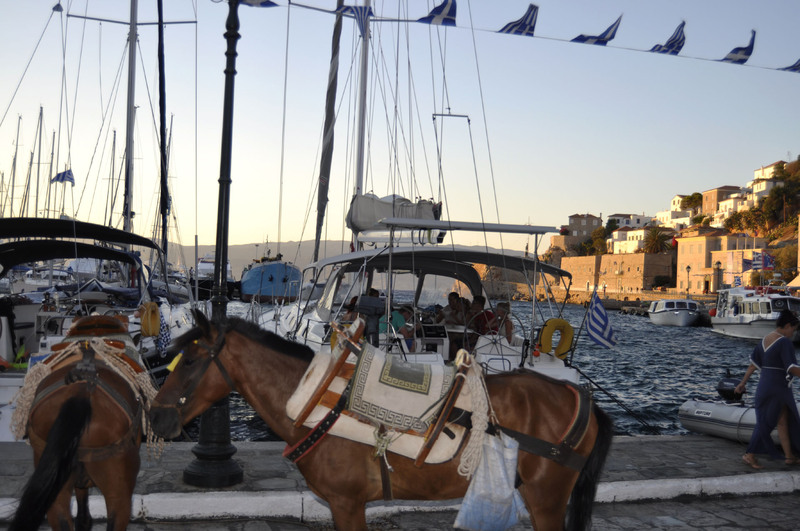 The destinations are “touristy” but you will still experience “real Greece” if you follow the foot steps of your driver/guide; to show you what this country has been gifted with: hospitality, harmony, warmth and spontaneity. > Meet your driver/guide and hop on your private vehicle from your location without waiting or wasting time to pick up unknown people. 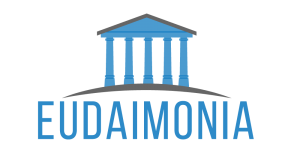 > Begin the drive towards the northwest area of Athens, where you will arrive at the archaeological site of Delphi in just 2 hours without any unnecessary touristy stops. Only a quick stop is included, at the scenic Arachova village which is the dominant site at the top of a cliff on the side of Mt Parnassus ski center. 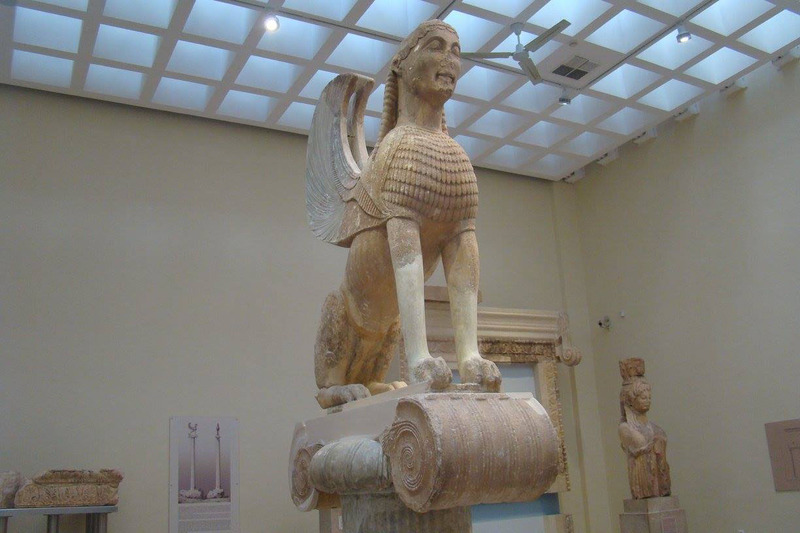 Explore the classic treasures, theater, the museum and the ancient ruins. 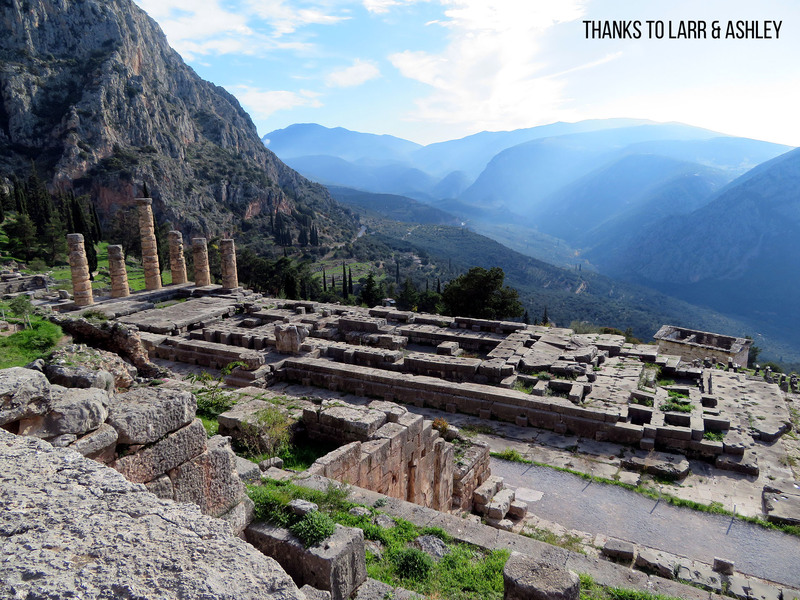 Visit the 2nd site where you see the main theme/photo of Delphi guides; “Athina Pronaia temple”. 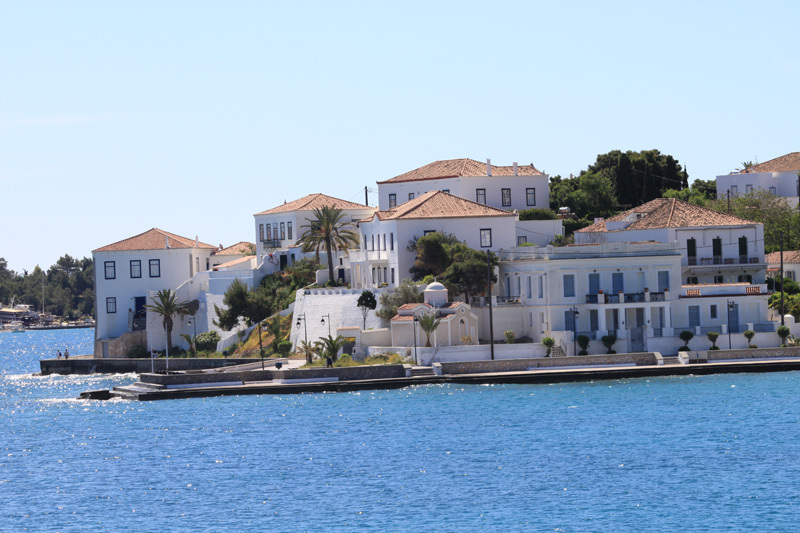 > Next, head towards the scenic Amphissa mountain town. After an “important” lunch stop halfway -treat of your driver/guide- arrive at your hotel. 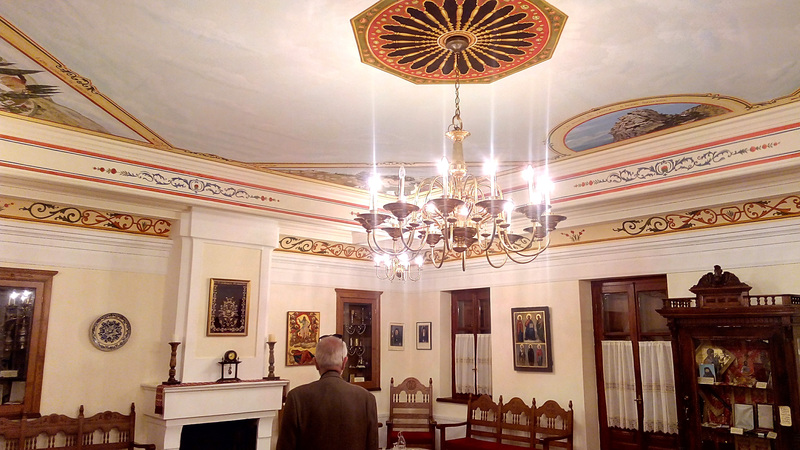 Spend the evening in Trikala town which fits much better with the organizer’s authentic approach to this private tour, as compared to the touristy Kalambaka town, with “nothing to do” in the evening. Explore the town on your own, and finally relax over dinner, after you’ve briefed properly! Evening transportation is included! Enjoy breakfast in your hotel, and then a very quick drive to Meteora, your main destination of the day! 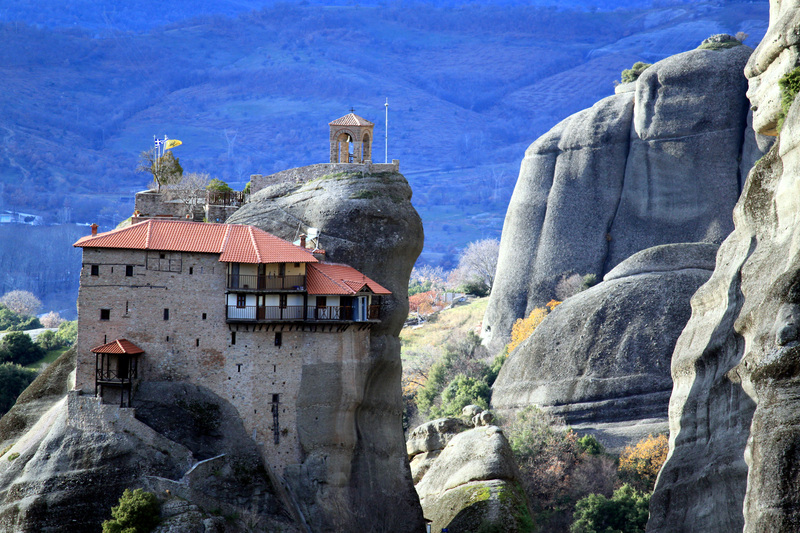 This UNESCO World Heritage site is home to more than 20 rock monasteries. Visit two (maybe 3) of the incredible monasteries depending on the day of your visit. Originally occupied by 11th-century hermits, the monasteries later became hiding places for monks when the Roman Empire started to fall. The two monasteries you may visit are subject to change depending on your day of visit, since most have different opening days. 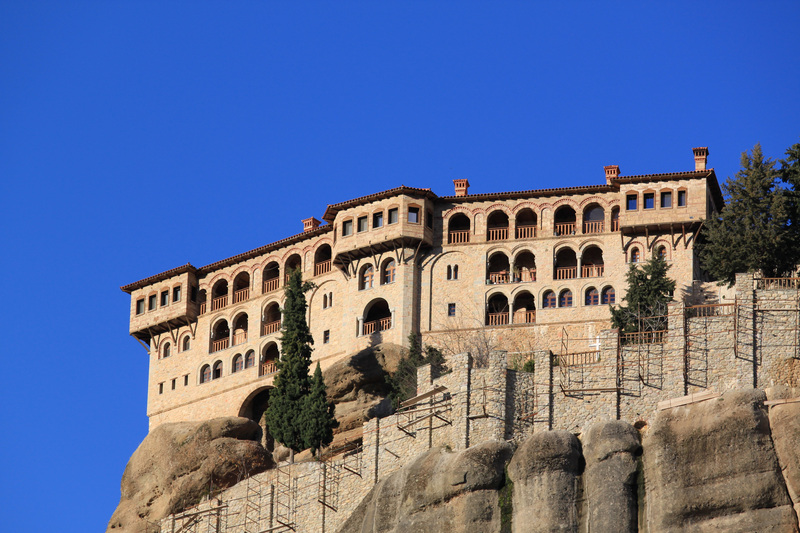 Typically, the monasteries to be visited include the Grand Meteora Monastery and Moni Agiou Stefanou or Moni Varlaam. 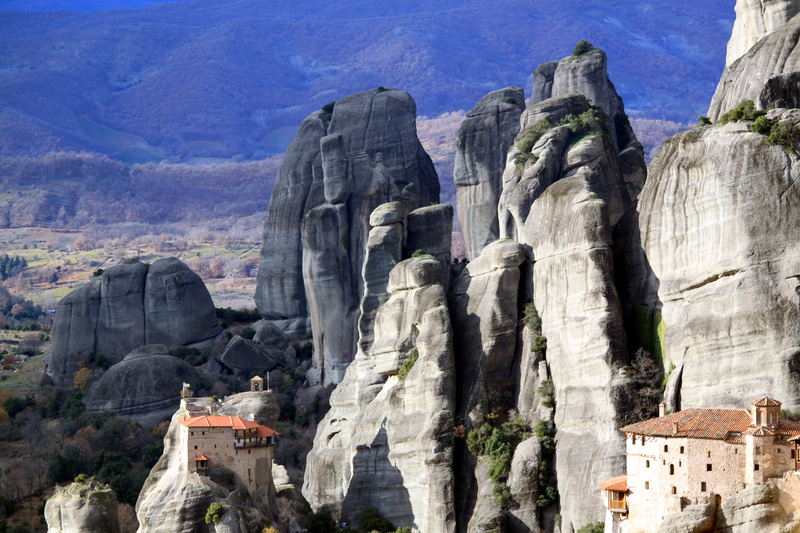 After exploring Meteora, return to your private vehicle for your trip back to Athens which takes around 3.5 hours. 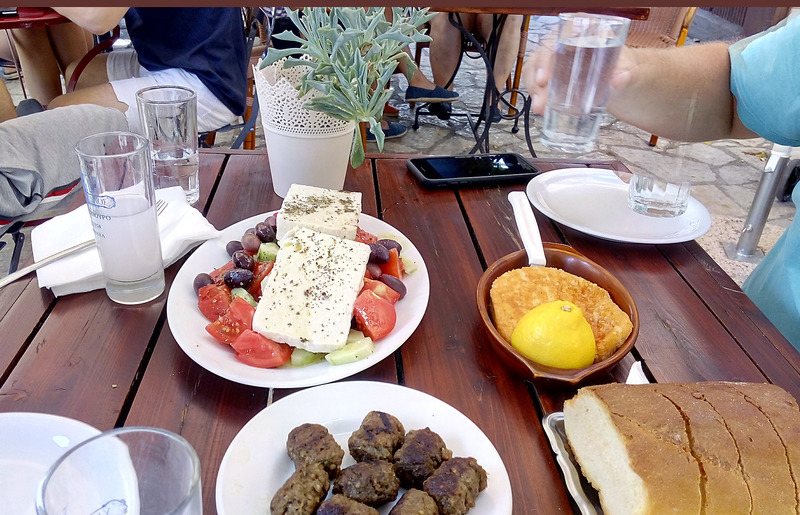 A couple of 2 necessary stops on the way to stretch your legs, enjoy great lunch and maybe… visit Thermopylae; of the historical battle between the Spartans (300) and the Persians. Continue the journey further south towards Athens to arrive and be dropped-off directly at the hotel, in the early evening. An authentic tour with a great driver/guide! Tip: Best time to visit? Both summer and winter time. We enjoy winter more! Around Christmas is perfect! After your booking, expect full communication at all times with all details, questions answered, pickup location/times, etc. One-night accommodation (including breakfast), carefully arranged at the area of Meteora or Delphi and based on double or triple occupancy depending on your group/family. Contact us if in doubt. Lunch is also included on both days and at selected locations. In-car bottled water & tour information booklet. Brand new non smoking vehicle (2017) and non smoking driver. Full and detailed itinerary of the trip after your booking. One-night accommodation (including breakfast), carefully arranged at the Meteora or Delphi area and based on double or triple occupancy depending on your group/family. Contact us if in doubt. Each person is allowed one normal size suitcase and a small carry on bag. Pickup and drop-off in areas outside of Athens (subject to additional cost). Dinner is at your own expences but your fuide will help you to select the best place. Children under 6 years old are not allowed. Excess luggage strictly not allowed. Pricing is at €1,300 for 1 to 2 persons (total; not per person). For larger groups of 3 or more related people (couples, group of friends or large families) please contact us -before booking- to get the best rate depending on the exact number of people and age group. Also, if you are just a single person we will provide a discount. All our vehicles are brand new (2017). For 1-3 people a large 4 door saloon 2017 vehicle is used for the trip whereas for 3 or more people a large minivan is used. Payments made by Paypal are subject to an additional cost of 4% to 5% which the client must include in the payment and corresponds to the fees Paypal charges on all transactions. 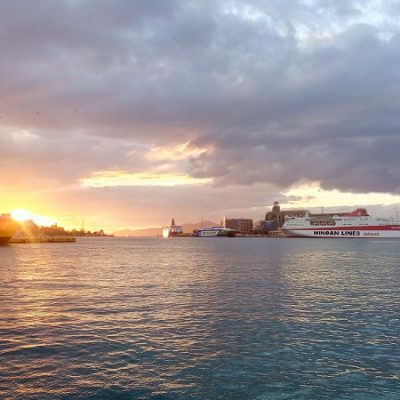 From your Athens hotel, cruise ship (Piraeus port) or a pre arranged meeting point very close to your location. For other starting locations please contact us. 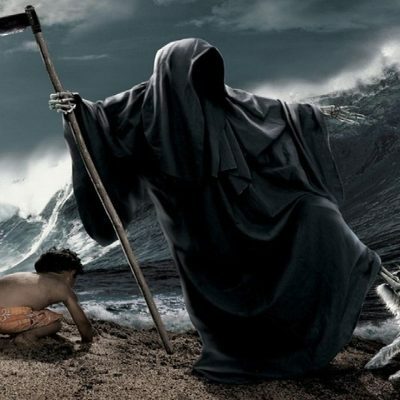 If cancelled due to bad weather or any other extreme situation, you will be given the option of an alternative date or full refund and you decide. 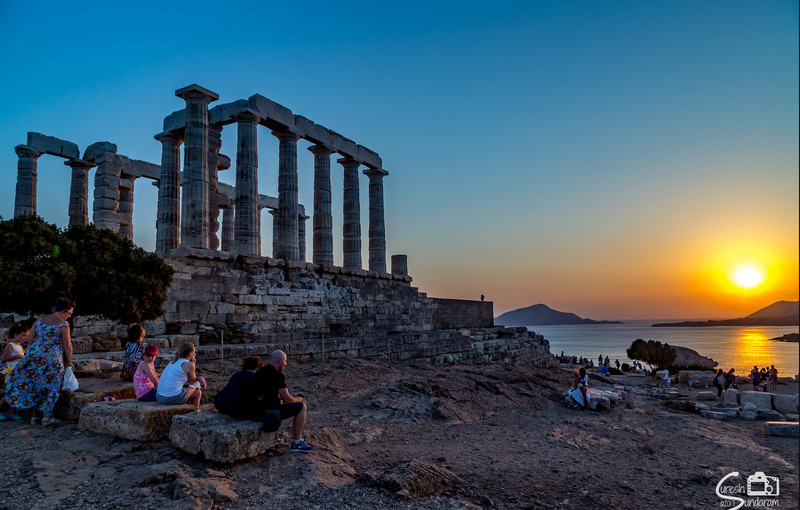 Ride to Delphi Meteora tour Athens with a private driver and get an up-close look at Ancient Greece on this 2-day totally private tour of two Unesco sites with more local flavor. 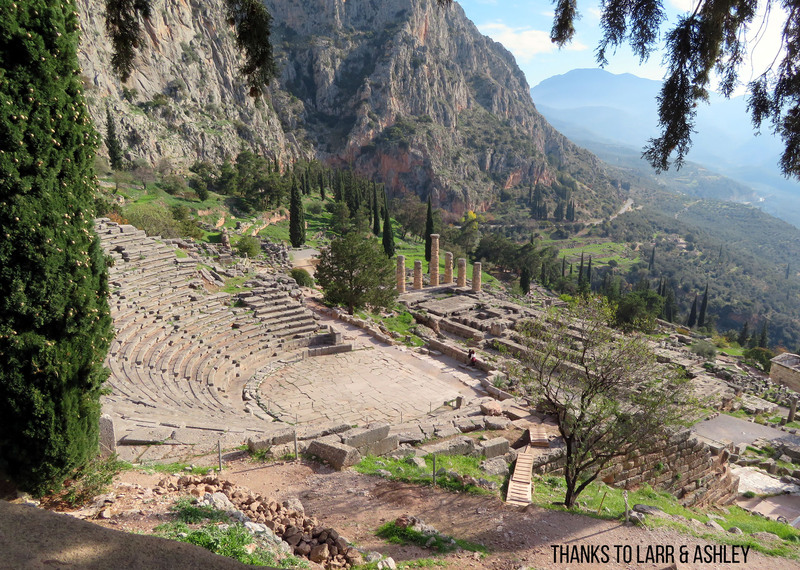 After drop-off at Delphi, stroll around the area on a self-guided tour, seeing attractions like Arachova village, the Temple of Apollo and Athina Pronaia. 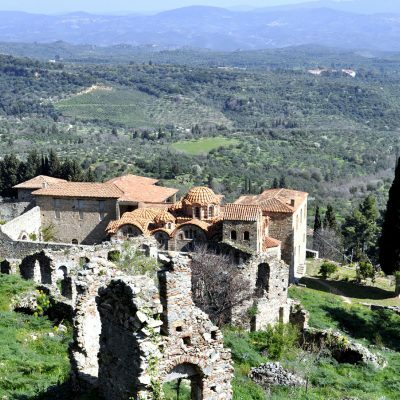 Optional visit of Hosios Loukas monastery. 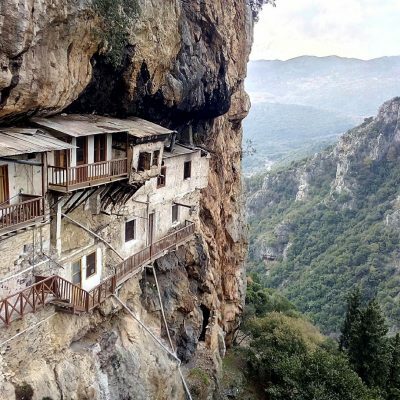 Next morning, continue the Delphi Meteora tour Athens, a very short drive to arrive at the famous monasteries of Meteora, which was a very safe hiding spot for the monks from the Romans. 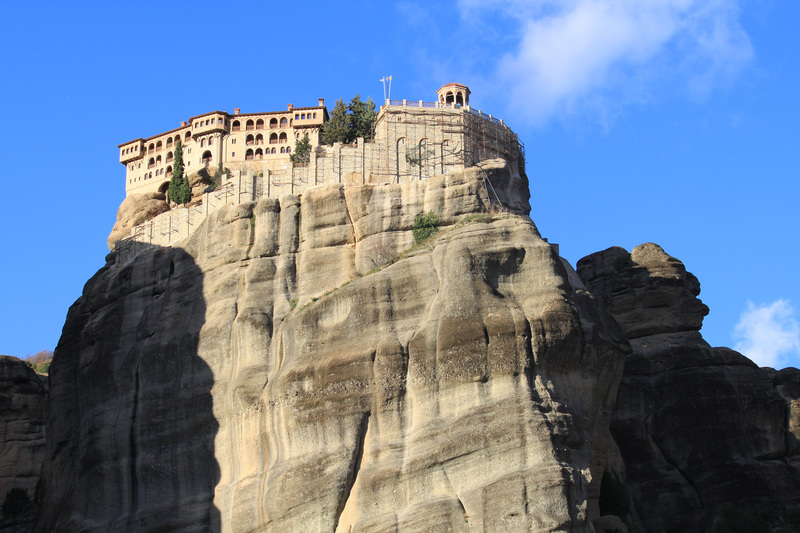 Visit two amazing monasteries before heading back to Athens with a couple of relaxing stops and lunch/drinks. A PRIVATE experience worth every penny. 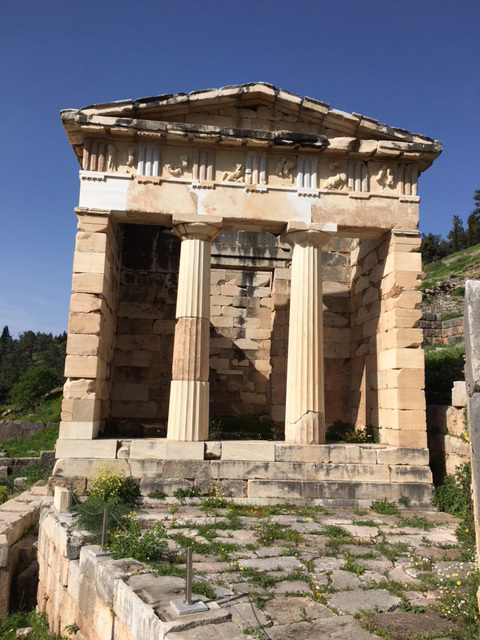 > Begin the drive towards the northwest area of Athens, where you will arrive at the archaeological site of Delphi in just 2 hours without any unnecessary touristy stops. Explore the classic treasures, theater, the museum and the ancient ruins. 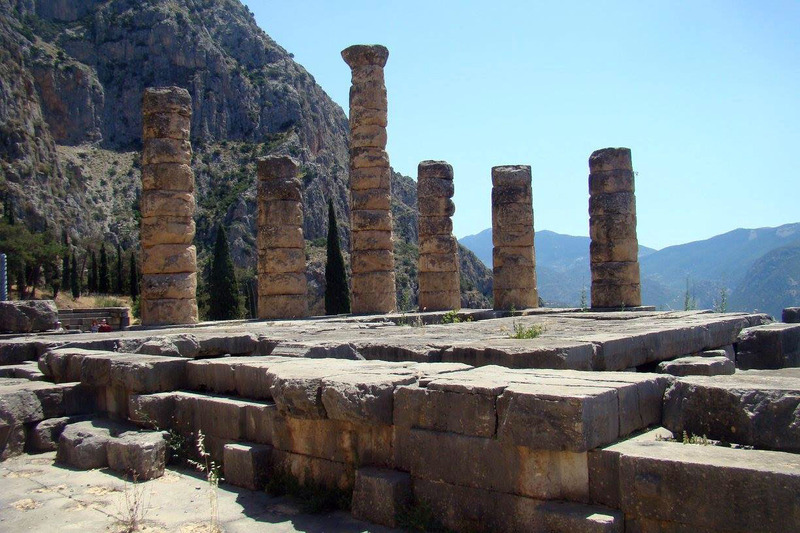 Visit the 2nd site where you see the main theme/photo of Delphi guides; “Athina Pronaia temple”. > Next, head towards the scenic Amphissa mountain town. After an “important” lunch stop halfway -treat of your driver – arrive at your hotel. 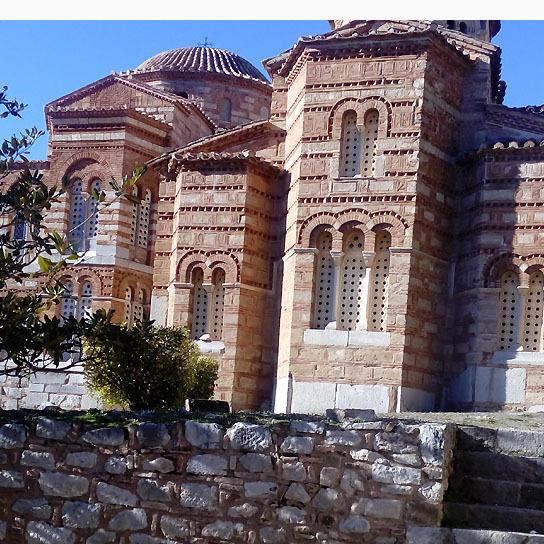 Spend the evening in Trikala town which fits much better with the organizer’s authentic approach to this tour. 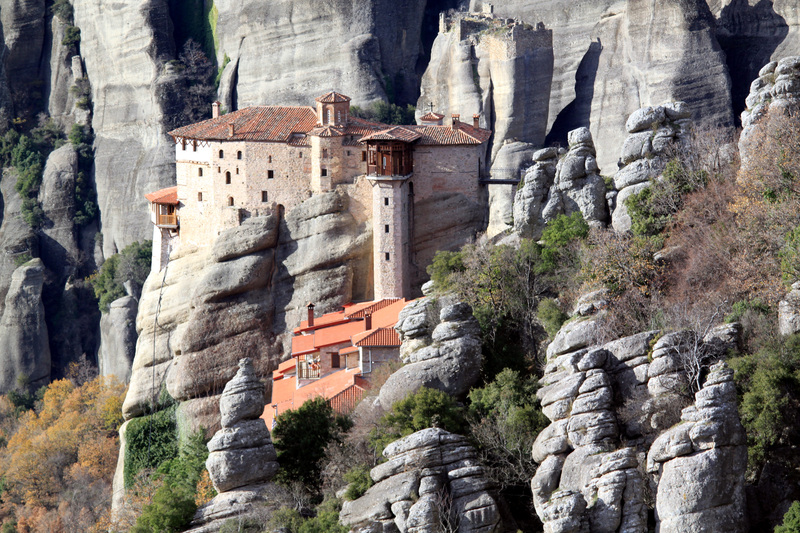 Enjoy breakfast in your hotel, and then a very quick drive to Meteora. 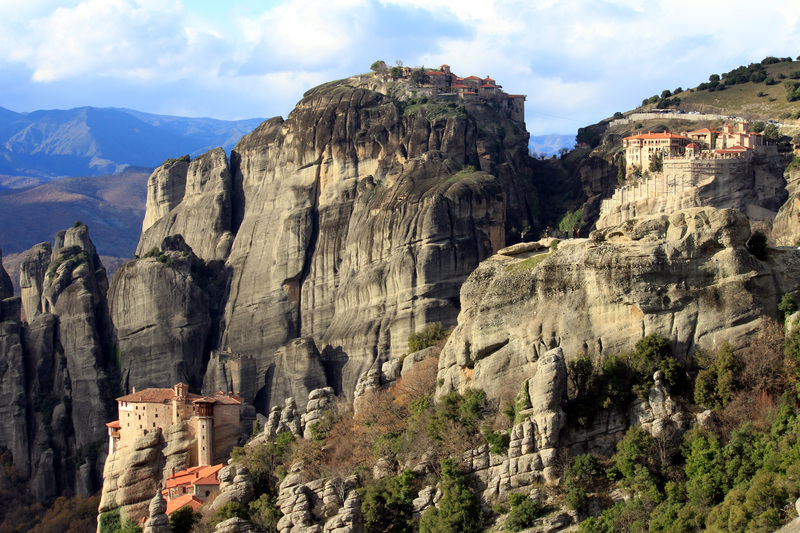 This UNESCO World Heritage site is home to more than 20 rock monasteries. 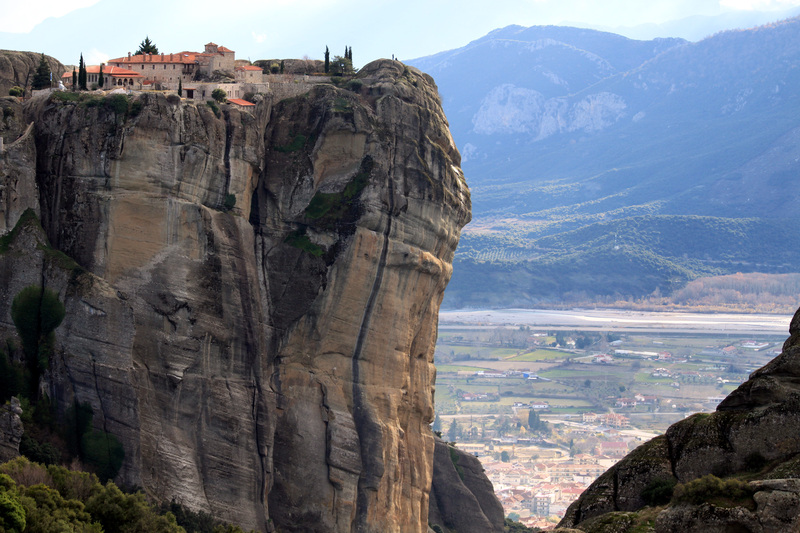 Typically, the monasteries to be visited include the Grand Meteora Monastery and Moni Agiou Stefanou or Moni Varlaam. 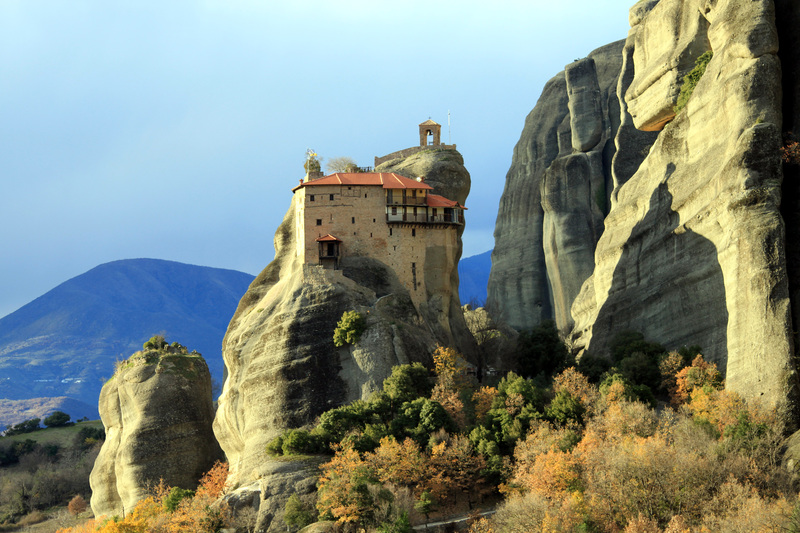 After exploring Meteora, return to your private vehicle for your trip back to Athens which takes around 3.5 hours including some stops to stretch and enjoy the views. An authentic tour with a great driver/guide!